Time to complete: 2 hours once I actually started working on it. First worn: As soon as I was done making them. Total Cost: I’ve had these so long I will count them as free. I love, love, love, fingerless gloves. I am usually the person who is cold and/or chilled when everyone else is either comfortable or too warm. Gloves like this are perfect for those times when there is a chill in the air but it is too warm for a jacket, or when you need something to keep your hands warm and still be able to use your fingers. They are great especially for working on the computer. At our house the computer is next to an outside wall and all of the cold just creeps in and freezes anyone who sits next to it for too long. These gloves help to keep the hands capable of working while using the computer. I had this pair of socks that got a hole in them, but were too cute to throw away. So, after a thorough washing, they got added to my crafting material collection where they sat for some time. 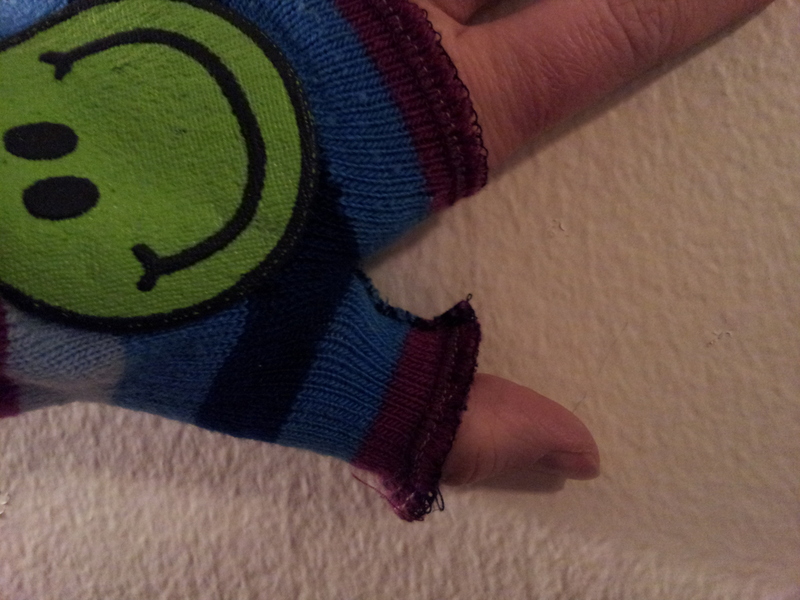 Eventually, I cut off the part with the hole, made both socks equal in length, and serged the cut ends. 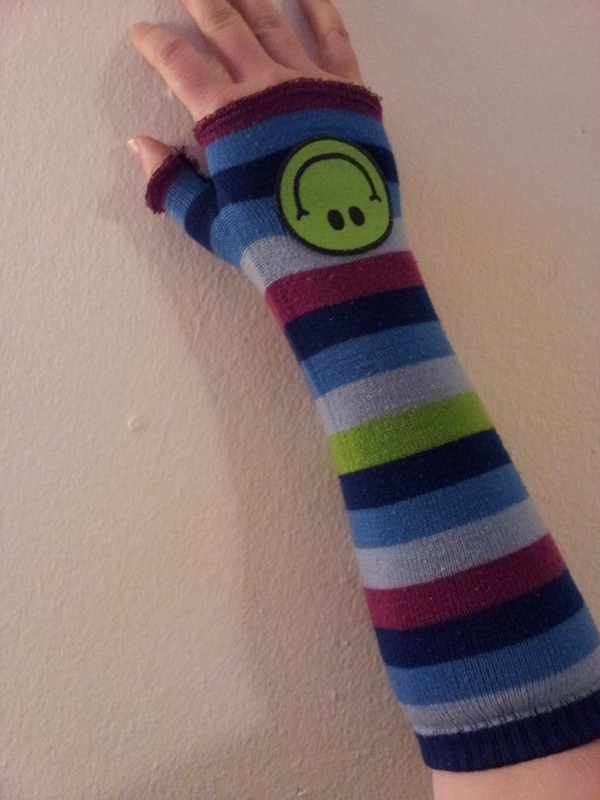 I noticed that they were too long to just wear as arm warmers and would need to be modified. So, they sat for some time longer. Then this crafting challenge came up. I am pretty good about sewing stuff once I have all of the fabric cut out, so I didn’t have much to choose from in the way of unfinished projects. Most of what I have is uncut fabric sitting next to unopened patterns. So, I sat down and started to finish these. First, I put the arm warmers on and marked with straight pens the placements for where I needed to cut/sew for the thumb opening. Then I started hand stitching. It didn’t take me long to realize that I wouldn’t be happy with the seam that I was creating. So, I took out my scissors and cut the sock so I would be able to sew along the cut edge. I sewed the seam twice for extra reinforcements. Then, I repeated all of the steps on the second one. 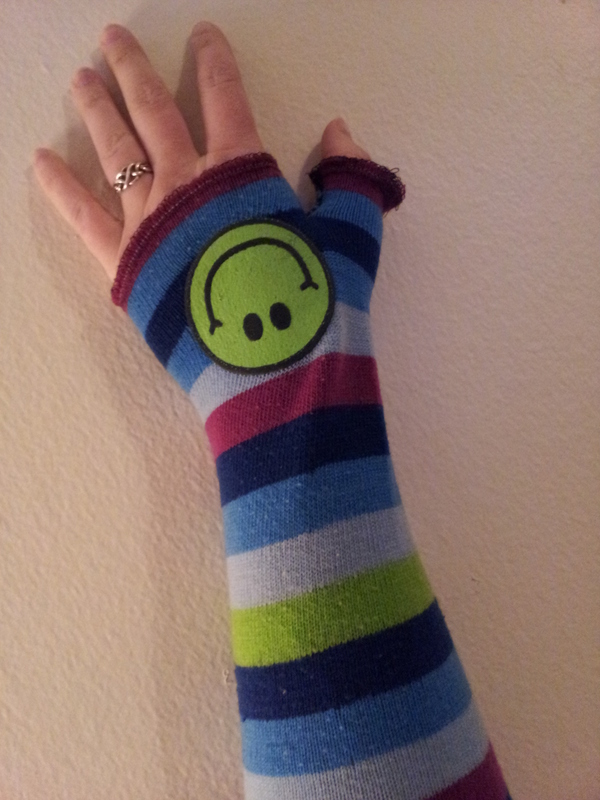 Now, I have a way to keep my hands warm while I do my hand sewing as I catch up on my Netflix watching. Side note: I make and sell creatures made out of socks, and as a result, I have several bags full of new and unworn socks. I get the feeling that I will make additional arm warmers in the future so I get a chance to add different embellishments to them. I tried to take a picture so you could see some of the detail, but I don’t think that it came out too well. First worn: Not yet. I’m waiting for the fabled warmer spring weather. Wear again? Hopefully I will get a lot of use out of this shirt. My parents have been working on clearing out their unwanted items and I was able to snag some stuff from my dad’s closet. Don’t worry, these were things that he no longer wanted, so I wasn’t really raiding his closet. 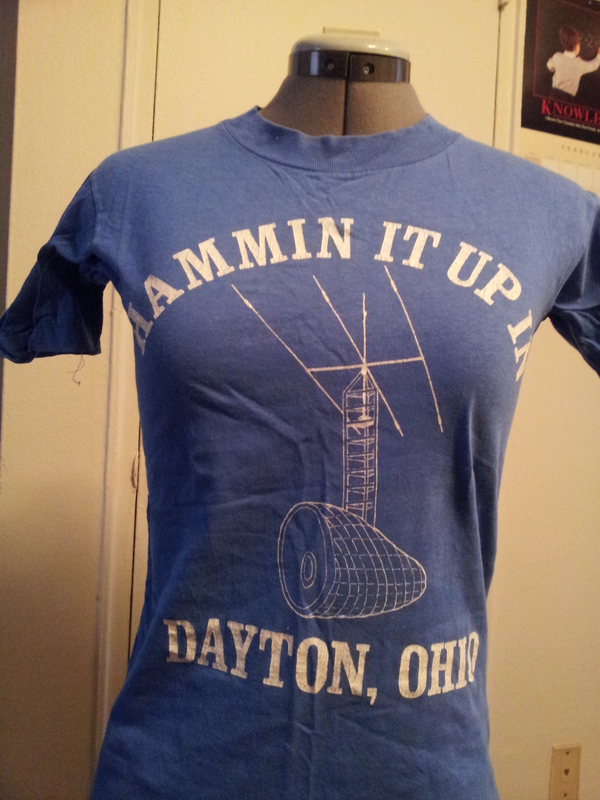 This shirt is extra special to me because for many years the Dayton Hamvention was a thing that I went to every year with my father. I’m sure that I learned many things by going to the Hamvention, but mostly I just remember learning that whatever things that I thought I knew about computers and electronics just barely scratched the surface of what there was to know about the field, and that there was always something new to discover. I have had this book for awhile and have been waiting for the right opportunity to create something from it. The downside is, if I have a t-shirt that I like enough to want to wear forever, it is something that I don’t want to run the risk of potentially ruining the shirt. If I have a shirt that I don’t mind cutting up, then I look at it as something that I don’t really want to wear in the future. It was really tough making the first cut in this shirt. I was afraid that things would turn out horribly and I would lose this thing that represented a thing from my past. Now that it is finished, I think that it turned out all right. Here is what it looks like finished. I’m not sure what I am going to put on the pin, but I have some time to think it over before it will be warm enough for me to even think about wearing this shirt. I think it looks better with the pin. I’m still undecided as to how long the white fabric is going to be. I kind of like the look of it wrapped around like a scarf, but I’m not sure how I will like it if I were to wear it like this. View from the back. 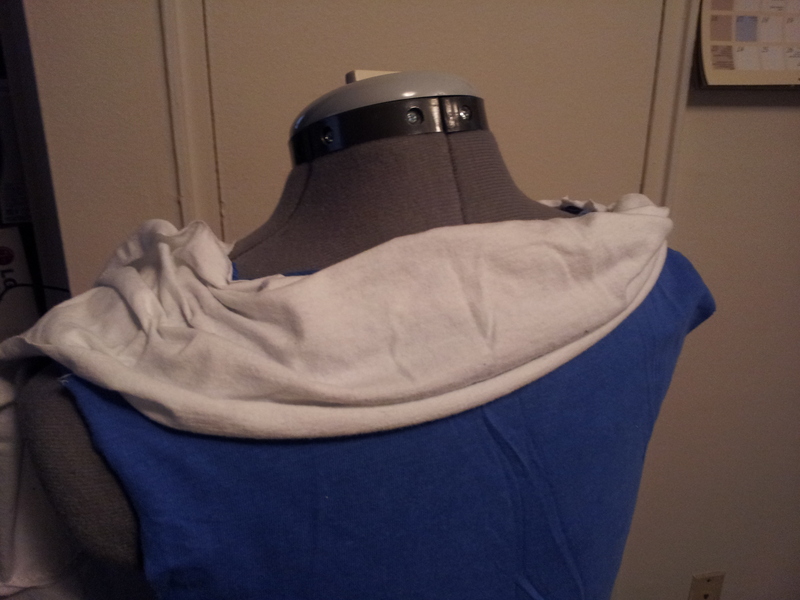 I’m not as happy with the back as I am with the front, but I think I will be able to fix it in the future if I need to. Supposed to be MadeThisLook Actually is – Finally finished this Christmas present! Time to complete: I am not sure of the exact number, but it was over 40 hours. It was one full day to lay out and secure the layers together (8+ hours) and it was two full days (16+ hours) to hand sew the binding around the edges since my sewing machine refused to sew all layers together. 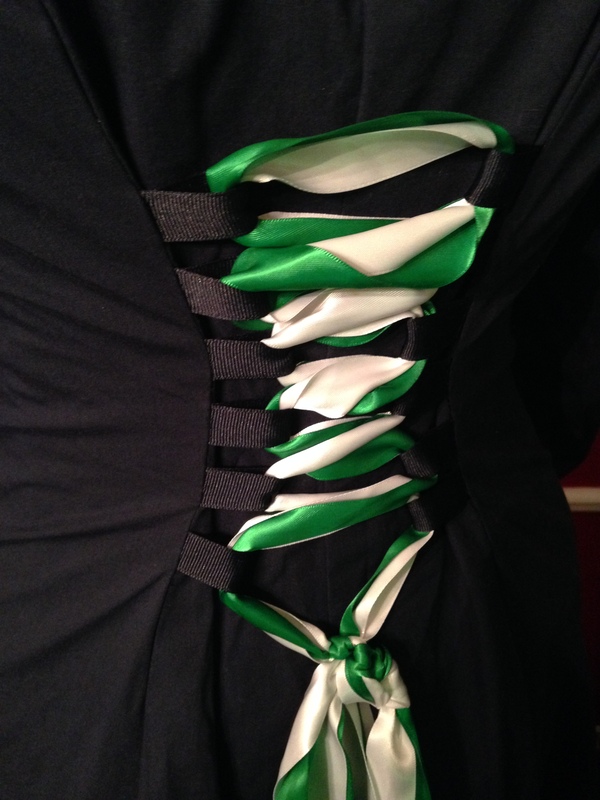 It was two days (16+ hours) cutting, ironing, and figuring out the spacing, layout, and all other details. Wear again? Hoping to get a lot of use out of this for many years to come as it is very warm and cozy. Total Cost: The most expensive part was the quilt batting, which I remember ended up being more than I expected, even though I purchased it on sale. Some of the shirts had to be purchased new (thrifted) since I was unwilling to cut up some of what I had available due to size constrictions. The flannel that I used for the binding, I managed to catch on sale for 50% off which made me incredibly happy. I did not keep track of my receipts and I can not tell you how much it ended up costing in total. Fairly early in 2013, Mr. 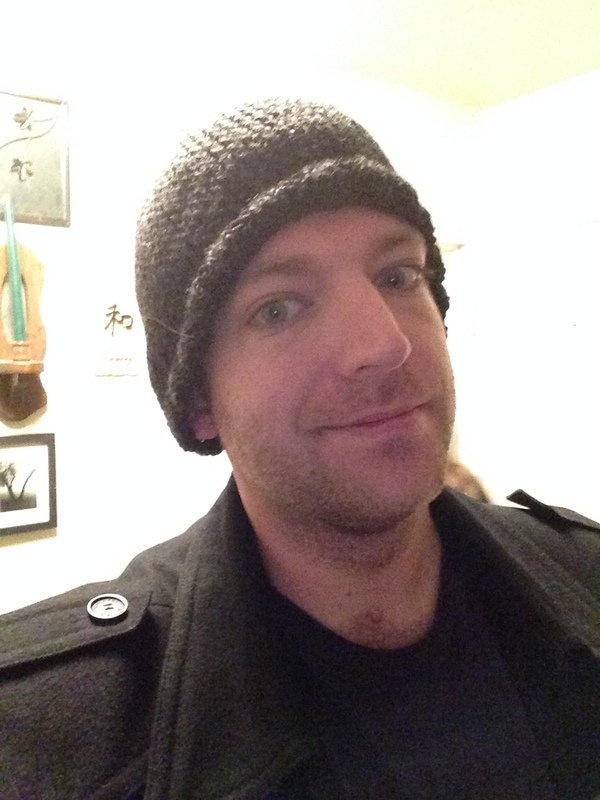 Uncommon Geek moved out to Washington State to embark on a new job opportunity. The plan was to have me follow as soon as I got my craft collection small enough to move easily. It was around that time that I got the idea of what I would make him for Christmas. My limited knowledge of the Pacific Northwest includes the idea that the winters are cold with the type of chill that you never really warm up from. 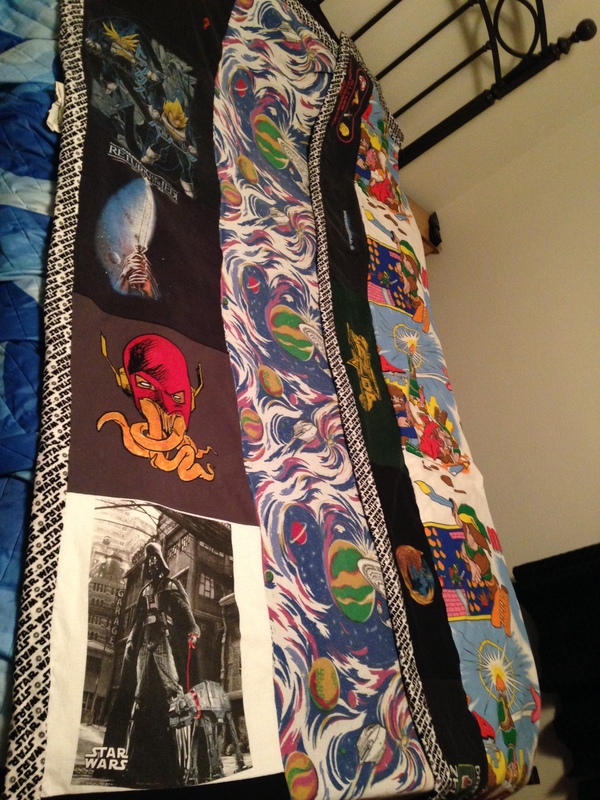 I had both sheets at that time and I purchased the quilt batting…at some point. I don’t remember if I purchased it for this project or for something else prior to this project. I first noticed a problem when I laid out the sheets with the batting. Even though both sheets were a twin size, the Star Trek sheet was considerably skinnier than the Nintendo sheet. This meant that I would have to add to the Star Trek side or take away from the Nintendo side. It also meant that I would have to trim the excess batting away. I don’t remember how much I paid for the batting, I just remember having sticker shock even after the discount was applied. Trimming the bamboo batting away didn’t really seem like a good option. I had taken the pieces that I had over to my parents’ house as they have more available floor space to work in. My mom knows a lot about sewing and she suggested that I use the Nintendo sheet to fill in the Star Trek side and to use as the blanket binding around all of the edges. Having read accounts from other bloggers who have worked with sheets like these, I wasn’t sure if I really wanted to cut into either sheet and risk turning them into some sort of shredded nightmare. The question became how to add fabric without compromising what is already there. I dived into my crafting supplies to find something that would fill in the spots and make it a cohesive unit. I had settled on a piece of green fabric, but wasn’t really happy about how it looked with the green on either the Nintendo or the Star Trek design. I put the whole thing aside and decided to not worry about it for awhile. Sometime around the end of October, I realized that Christmas was approaching more quickly than I would like to admit, monetary resources were severely limited as I had just been laid off from my job, and I still had to figure out the challenges that this project presented. 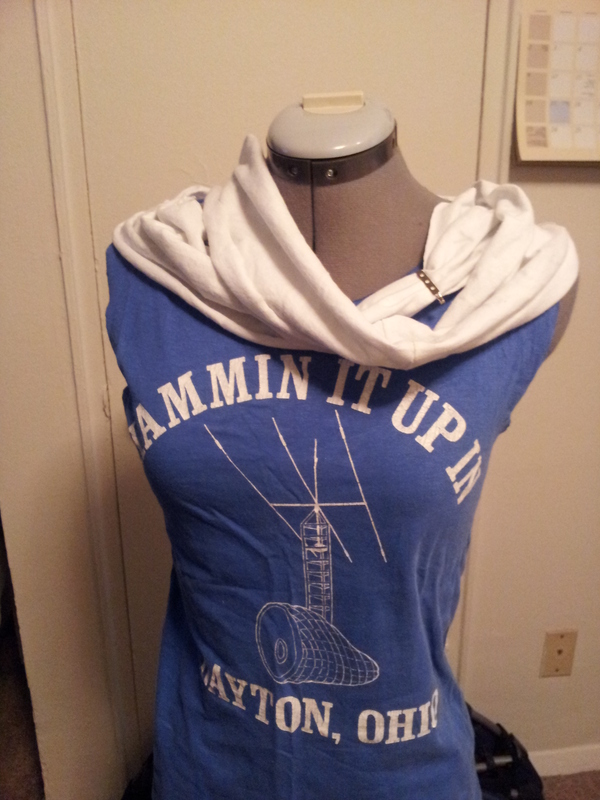 In researching ideas for how to make a quilt, the thing that seemed to pop up most was how to make a t-shirt quilt. I did some more research into it and found that a t-shirt quilt is just a bunch of 15in x 15in squares sewn together. The t-shirts are stabilized with an iron on stabilizer to keep the knit from stretching and make sure that the squares stay square. It is probably the easiest way to introduce someone into quilt making because there are no small fabric pieces to worry about, and the seam allowances don’t have to be as exact as they do for the more intricate quilt blocks. One of the variations of t-shirt quilt even has strips of fabric in between the t-shirt squares for added height and width, as well as a more uniform and quilt-like appearance. 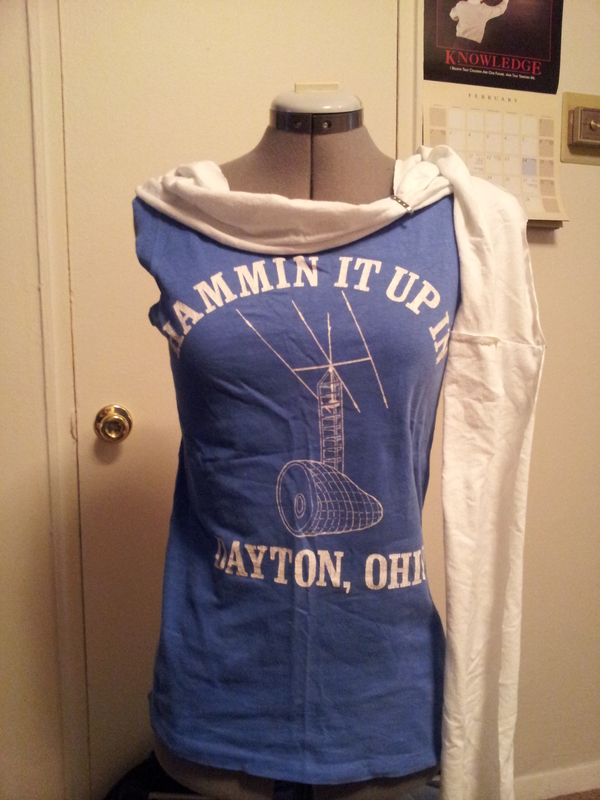 After reading a few tutorials on how to put together a t-shirt quilt, I knew that I had found the answer that I had been looking for and I was able to use some of the Uncommon Geek’s old t-shirts out of my crafting stash. Unfortunately, not all of the shirts that I was able to excavate out of my crafting jungle would work, and I was not able to find all the shirts that I thought would be available. I went to the thrift store and was lucky enough to find some shirts that would work for this project. I did end up purchasing more that what I needed as I have a tendency to fail at math, but that just gave me more options to choose from, and I now have more t-shirts to use for future projects. The good news for most of November and December is that I was able to find a job and work pretty much 40 hours every week. The downside was that I pretty much ended up exhausted and trying to figure out how to work on this project with Mr. Uncommon Geek at home. The answer was that I slept when I got home from work and just did not work on the quilt at all. I let him know that I would not have his gift done in time for Christmas and he graciously was ok with that. After the New Year’s bustle died down, so did my hours at my part-time job. I worked on this quilt as much as I could, guessing a lot of the time with the measurement, cutting, and placement of the t-shirts. I tried to assemble the blanket at home, but found that there is no flat space in our apartment large enough to lay the blanket flat. I also found that there were some holes in the Trek sheet. I mended the Trek sheet with some scraps of one of the shirts that I used. I bleached the shirt to look like one of those home done galaxy prints that I have been dying to try out. After I measured, cut, and sewed together the t-shirts to the sheets, I took all of the pieces over to my parents house to secure all three layers together. Thankfully, I come by my love of books naturally and there was no shortage of weights available to make sure that nothing shifted on me as I put them all together. My mom thought it funny and unusual that I was using books to weigh down the quilt. Yes, J.K. Rowling, Andre Norton, and J.R.R. Tolkien are all helping here, along with many others. Like I said, I come by it naturally. 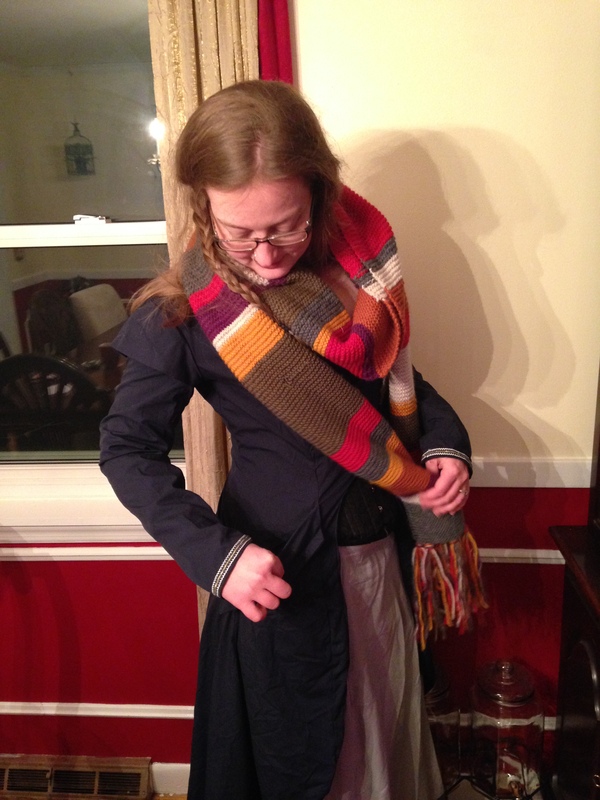 Once I had all of the pieces sandwiched together, I still had to put blanket binding around the edges. When I had gone to the craft store to price and hopefully pick up the four packages of binding needed, I found that each package was around $8 and that it would be $32 to use the satiny stuff that would be a pain to sew down. (I have used it to make a baby blanket before. The experience was not something that I care to repeat.) Knowing that the binding is a pain and that it would be difficult to sew in the cramped space around my sewing machine, and that I am not willing to spend another $30 to finish the blanket, I wandered around the fabric store looking for inspiration. I found it in the licensed fabric section. They have fabrics printed with things like Star Trek, Star Wars, DC, and Marvel. It made me giggle to myself because there is this giant sign that says “STAR WARS” and it has Star Trek and Star Wars all grouped together. Anyway, one of the sewing blogs that I follow has instructions for how to make bias binding out of fabric so you can make your own binding for whatever project that you are working on. I was able to put all of this knowledge together and realize that I could buy one yard of fabric and make my own blanket binding for less than the cost of one package of pre-made binding. It was just a matter of figuring out which one to get. I finally settled on the black and white Star Wars repeating because of a few things. One: even though there are no Trek shirts, one side is mostly Trek so it does not hurt to balance things out by having this much Wars all around. Two: the fabric is flannel which makes it soft, warm and pretty perfect for use in blankets. Three: the pattern is small and would not be overwhelming, nor would it be lost entirely once the fabric got cut into strips. Four: The Nintendo Fabric had a lot of white in it, the Trek fabric has a lot of dark colors in it, and most of the t-shirts are some shade of dark or black. By using a black and white print, I don’t have to worry about color matching and it helps to unify the different pieces that I am working with. Although frustrating at times, this is something that I am really happy to have made. Mr. Uncommon Geek said that he has never before received a gift that so accurately captured who he is so completely and is now in the process of writing a blog describing what the different parts mean to him personally. This winter has been the coldest, most wintery winter that we have had to deal with in many years here in Ohio and I am very glad to have this cozy blanket to snuggle underneath. I am a little disappointed that we are not spending the winter in the Pacific Northwest where, every time that I check, they are consistently warmer than we are with less snow as well. However, it also means that this blanket would not have turned out like it did, and we would not appreciate it in the same way. Here is how I laid it out so Mr. Uncommon Geek could see all of the different t-shirts that I used, as well as both the Star Trek and Nintendo sheets. Wear again? Gosh, I hope so. I made this for Mr. Uncommon Geek so I could try out the Jayne hat pattern. I think he has worn this hat once outside of our apartment. This is certainly the winter for extra layers so I hope he will be able to get a lot of use out of this hat. There isn’t really much else to say about this hat. It is a pretty basic pattern. The hardest part was trying to figure out how to change the pattern while using straight needles and not circular needles. There really doesn’t seem to be many options for hat patterns out there that don’t involve either double pointed needles or circular needles. I got a pair of circular needles for Christmas so I can try them out when I do finally get around to making the cunning Jayne hat in the yellow, orange and red colors.